Book Review: Dairy Queen by Catherine Gilbert Murdock - fairy skeletons. Some really sweet contemporary fic to wind down my whole intense steampunk obsession. I loved D.J. She was so candid and funny that it was really easy to step beside her and sympathize. She wasn't perfect, but she wasn't annoyingly flawed, either. She was just a person, which really got me. She had grievances and issues just like anyone. Brian Nelson... meh. He wasn't totally sweet or anything, nothing really special, but he had honesty to him, too. You could see that he and D.J. were cute together, although Brian as a person is somewhat doubtful. The cow theme throughout the book was very apt and nice. D.J. becomes ambitious because she doesn't want to be like a cow, constantly doing the work that everyone tells her to do without complaint. She wants to be more important and open-minded than that. D.J. 's family tensions were set up very nicely. Her dad, her mom, Win, Bill, Curtis - all of them had meaningful traits and failings, which was strangely likable. The secrets that they keep are logical yet hold some actual significance, which I really loved. I know that a lot of stories set in small towns end up with the protagonist breaking out of their shell and leaving the town, but what I liked about Dairy Queen was that the MC broke out of her shell without leaving her beloved town. There's a kind of truth to that. Life is looking up for D.J. Schwenk. She’s made it to eleventh grade, she’s reconnecting with her best friend, and she’s got kind of a thing going with Brian Nelson. Best of all, she’s playing for the Red Bend High School football team—as the first girl linebacker in northern Wisconsin. But then the season goes suddenly, horribly wrong: her brother Win is put in the hospital by a devastating blow during a game. Once again, D.J. is forced to step up and be there for her family. As her life turns completely upside down, she discovers she’s a lot stronger than she – or anyone – ever thought. 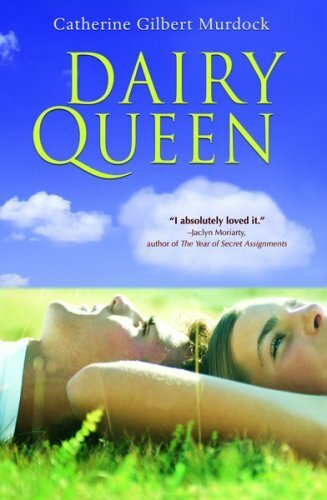 This hilarious, heartbreaking, and ultimately triumphant sequel to the acclaimed novel Dairy Queen takes D.J. and all the Schwenks from Labor Day to an unforgettable Thanksgiving Day game.